The West Coast of the United States is home to some of the country’s most beautiful sights. From sandy beaches and cliffs overlooking the Pacific to world-class wineries and historic architecture, the West Coast is full of hidden gems. Check out StorQuest’s top ten places to kick back and appreciate life. Known as one of the world’s most unforgettable stretches of coastline, Big Sur follows Pacific Coast Highway along the Redwood Forest and fog-trimmed waterfront. Giant elephant seals relaxing on the seashores, gray whales migrating under the sapphire waters of the Pacific Ocean, and sea otters floating with the kelp beds are just some of the wonders you’ll notice when peeking over the rocky, coastal bluffs. Home to the Columbia River Gorge and its tumbling waterfalls and Mt. Hood’s snow-covered peak, the quiet town of Hood River is a hidden jewel located in the Pacific Northwest. Entering Oregon’s land of waterfalls and wineries, Hood River offers something for everyone to enjoy. Take advantage of the Gorge’s steady wind conditions for an afternoon of windsurfing or grab your skis to hit the slopes at Mt. Hood Meadows. Enjoy the year-round sunshine and turn-of-the-century architecture in San Luis Obispo, California. Sip some of California’s finest wines in the Edna and Arroyo Grande Valleys or hike and explore the breath-taking landscape of sprawling lakes, sandy beaches, and epic mountains that surround the town. Fall head over heels for San Luis Obispo during your next weekend getaway. If you’re in the mood for miles of secluded beaches, lighthouses, and towering forests, Cannon Beach, OR, is sure to take your breath away. From the 235-foot Haystack Rock sitting calmly in the coastal shores to an array of art galleries and luxurious oceanfront lodging, the vibes of Cannon Beach is one you need to experience for yourself. Averaging 350 days of sunshine a year, Palm Springs is the perfect desert getaway. This vintage resort town is covered with luxurious hotels, tour-level golf courses, and awesome architecture that makes for ultimate relaxation. Take it to the skies with an aerial tram ride up Mount San Jacinto or explore Joshua Tree National Park followed by a relaxing swim under the night sky. Rialto Beach can be found in the famed Olympic National Park near the Quillayute River. This pebbled-lined shoreline is one of the most popular beaches in the Olympic Peninsula and is the perfect place to watch the sunset or the waves crash against Cake Rock – a massive sea stack that surges out of the Pacific Ocean. Soft sand, great swells, and epic scenery are just some of the main attractions that Seaside, OR has to offer. Arguably the see-and-do capital of the Oregon Coast, this town boasts plenty of opportunities for fun and adventure for people of all lifestyles. Ride some of the Northwest’s best surfing conditions, head to The Highlands for a day on the links, or explore the many hiking trails to get a better feel for this coastal beach town. Nestled in the Cascade Mountain Range, Leavenworth’s vibrant town is surrounded by natural beauty and themed after an alpine village in Bavaria, Old Germany. Winter brings a Christmas wonderland with light-lined German shops and snow-covered trees while summer brings world-class rafting and floating along the Wenatchee and Icicle River. One of the least visited National Parks in the country, North Cascade National Park is the perfect escape on the border of Washington and Canada. Home to the most glaciers outside of Alaska, this is the perfect place to enjoy Mother Nature’s finest work and relax among one of the most diverse ecosystems in the states. 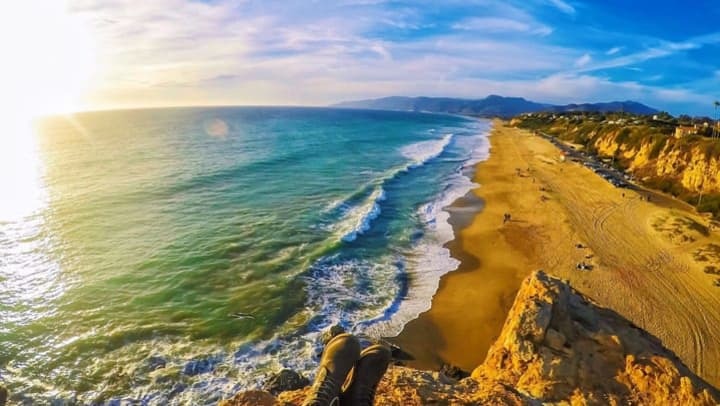 Pismo Beach sits halfway between Los Angeles and San Francisco. An ideal place to pull over on your road trip, you can enjoy strolls over the ocean on the 1,200-foot pier, check out Monarch Butterfly Grove, or explore numerous tide pools and ocean caves. When you need some time to clear your head and be one with nature, you can trust that StorQuest will give your belongings the care they deserve. Let us take some stress out of your life while you’re away, and store with the best at StorQuest.